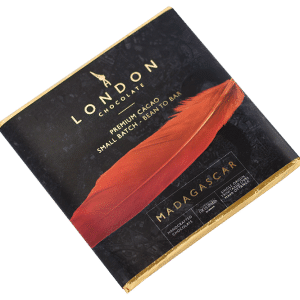 Product Description – This bar features award winning cacao from the Kokoa Kamili social cooperation in Tanzania. It’s a chocolate bursting with a fruit palate of burnt red berries and ripe mango, before developing into a deep, rich dairy-cream finish. If you didn’t know better, you’d swear we add milk. 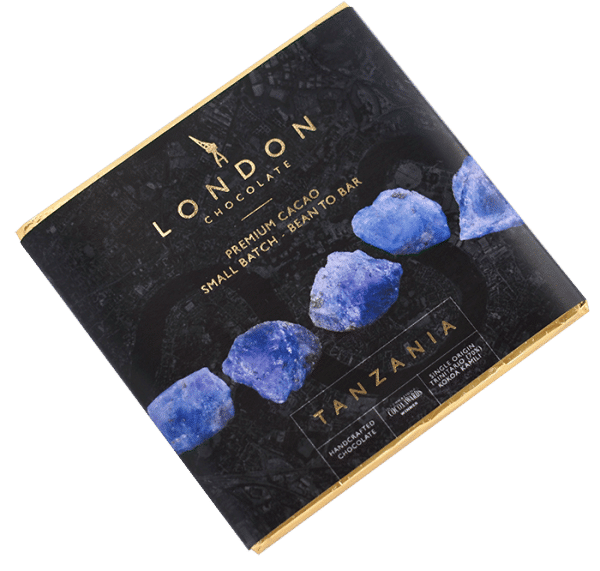 This bar features award winning cacao from the Kokoa Kamili social cooperation in Tanzania. It’s a chocolate bursting with a fruit palate of burnt red berries and ripe mango, before developing into a deep, rich dairy-cream finish. If you didn’t know better, you’d swear we add milk. We use only two ingredients – cacao from our partner’s hand selected beans and organic cane sugar. Because we never add cocoa butter, our chocolates express the undiluted tastes and full flavour profiles of each single estate’s exquisite beans. 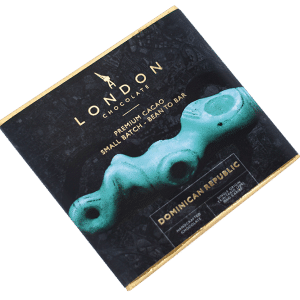 To make each bar, we roast, crack, winnow, grind, conch and temper in small batches, before individually moulding and wrapping by hand. London Chocolate is part of the bean to bar revolution and makes only small batch premium chocolate. 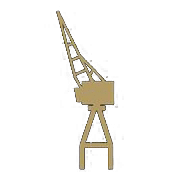 Created in the heart of London’s Canary Wharf, an area synonymous with merchant trade from exotic locations – cacao and sugar have been arriving at these docks since 1802. Our beans are sourced ethically from individual plantations and we give 5% of our profits to sustainable charities. Ingredients: Organic cocoa beans (70%) and organic cane sugar.